You can insert links anywhere you'd like into your text pieces. 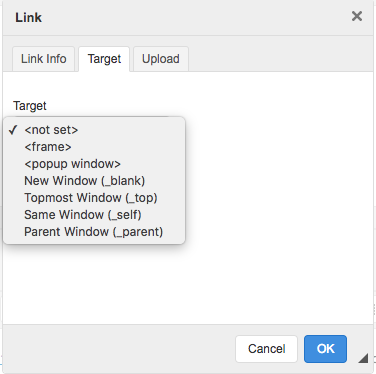 Within the text body click the link option and fill in your link, or highlight the word(s) you'd like to have be linked– fill in the link, click ok and save. 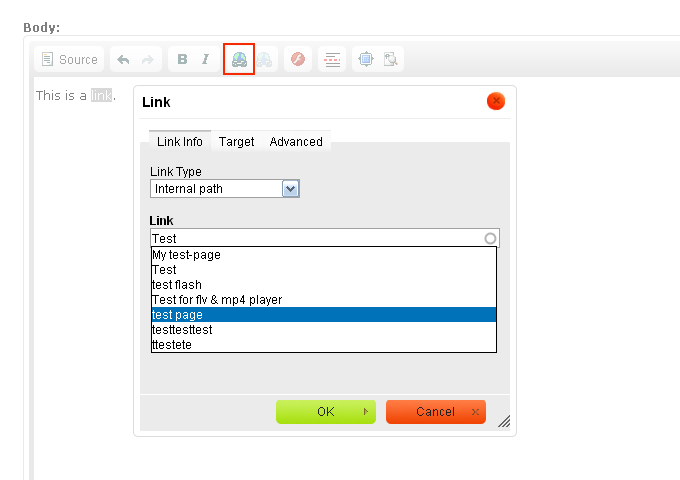 Targets will define what action happens when the link is clicked by the visitor.